Jim Beam and Uber partnered to provide free rides to baseball fans in Chicago during the 2016 World Series, leading to one of the most successful safe-ride related Uber brand programs to date. During the 2016 World Series-the first played at Wrigley Field since World War II-Jim Beam launched a timely campaign with Uber to give 10,000 baseball fans in Chicago a safe ride home. The program launched during the third game of the World Series, the first at Wrigley Field in Chicago, against the Cleveland Indians. As part of the program, Uber tracked users’ phone locations to determine if they were in Chicago and then sent those based in the Windy City promo codes for up to $20 off a ride. Jim Beam was introduced in 1795 and is part of Deerfield, Illinois-based Beam Suntory, which is in the process of moving its headquarters to downtown Chicago. 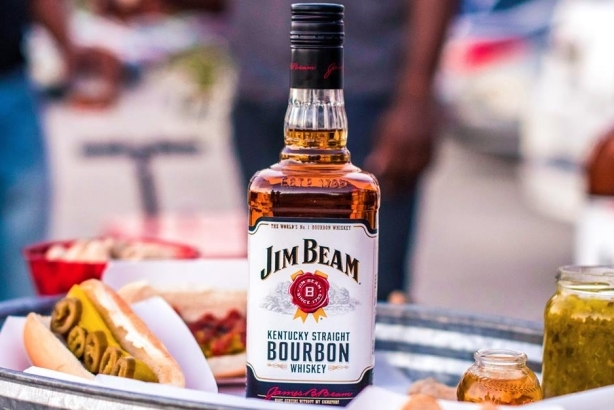 Jim Beam and its respective agencies began planning for the campaign in October 2016, when the Chicago Cubs were on the verge of making it to the World Series. It only took about 10 days from the start of strategic planning to the first day of the activation. The Cubs hadn't won a World Series championship since 1908. The brand sought to both encourage fans to celebrate history and to ensure they stayed safe doing so. The campaign team decided that a partnership with Uber to provide a free ride program was a great way for the brand to connect to the World Series hype. "Jim Beam is a 220-year-old brand that’s marketed under the tagline Make History, so connecting the brand to a historic event that hadn’t occurred for 108 years made a lot of sense," said Dan Cohen, PR director for Beam Suntory. "We also care deeply about ensuring our products are enjoyed responsibly and the Uber partnership was a great way to do that." Beam's PR agency, Olson Engage, developed the partnership with Uber. The campaign team also looked to drive earned media coverage in local and national Chicago publications and create several physical events around the city that would help tie the brand into the World Series experience. The Jim Beam-Uber free ride partnership launched on October 28, which marked the date of the Cubs’ first home game of the Series. Starting during the 7th inning of the game, Uber app users in Chicago were sent a free promo code for $20 off an Uber ride. These promo codes were available on a first-come, first-serve basis for 10,000 people. In addition to the Uber partnership, the brand launched digital and social marketing efforts, eight national TV spots, and full-page print ads in the Chicago Tribune and RedEye Chicago. The campaign efforts linked the end of the championship drought "curse" for the Cubs to another historic moment: The end of prohibition. Ads featured the tagline: "Prohibition didn’t last forever. Neither does superstition." Prohibition didn't last, neither does superstition. Congrats Chicago on #makinghistory! The campaign team produced ads that appeared on Chicago Transit Authority trains and standing platforms, in addition to more than 150 branded taxi tops and several billboards in high-traffic areas throughout the city. Mekanism created the ad work and Starcom drove media buying and planning efforts. With help from Geometry Global, Jim Beam also sponsored 35 viewing parties around the Wrigleyville neighborhood in partnership with a prominent local radio station. Partygoers were able to sample Jim Beam products. The campaign team leveraged branded Jim Beam channels on social media platforms to build momentum for the campaign. "Driving traffic to our social channels wasn’t a key objective, but we aggressively used those channels to get the word out about what we were doing," added Cohen. "These tactics included custom Snapchat geofilters, sponsored tweets, and ongoing social engagement with people who were talking about what we were doing." In total, it is estimated that campaign efforts reached more than 44 million people through PR, advertising, and social media. The media relations push drew coverage in outlets such as the Chicago Tribune and Chicago magazine, as well as ChicagoInno, and Chicago Business. All 10,000 free ride promo codes were used to get fans home safely from downtown Chicago. More than 46,000 people received messaging about the offer directly through their phones’ Uber apps. The number of Uber rides claimed represented some of the strongest conversion rates compared to other safe-ride related Uber brand programs.